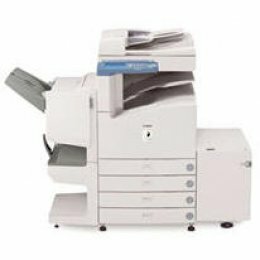 As a completely modular system, the 22-ppm imageRUNNER 2220N ships as a standalone digital copier with local scanning capabilities, and has the ability to add network printing, Super G3 faxing and network scanning. With 1200 x 600 dpi resolution at 256 levels of grayscale for copying and an astounding 2400 x 600 dpi resolution for network printing, the imageRunner 2220N sets the industry standard for image quality. Offering Scan Once Print Many technology, automatic trayless duplexing, a standard paper capacity of 1,050 sheets, and the most extensive finishing capabilities in its class, the imageRUNNER 2200 truly stands apart from competitive offerings.